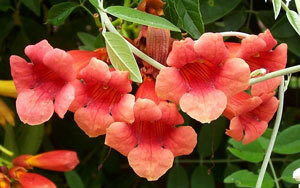 Here i am offering Seeds from Campsis tagliabuana Madame Galen, also known as Trumpet Vine. This vine grows up to lengths of 25 feet. This vine likes to live in full sun to partial shade where it attracts birds, bees, and butterflies. From the middle of Summer to early Fall this vine blossoms red, and orange. USDA Hardiness Zones 6 to 11. 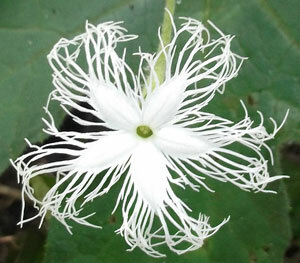 This is Trichosanthes tricuspidata, also known as Indrayan Bitter Snake Gourd. 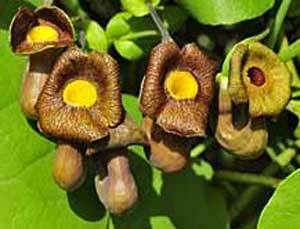 This plant is sometimes used for ground cover and other times it is grown as a vine. The pretty white star shaped flowers with tendrils are out right around April and May and they are quite the spectacle. The fruit is red with orange streaks. This plant is grown as an annual in all USDA Hardiness Zones. This is Ipomoea quamoclit, also known as cypress vine, cypressvine morning glory, cardinal creeper, cardinal vine, star glory, and hummingbird vine. 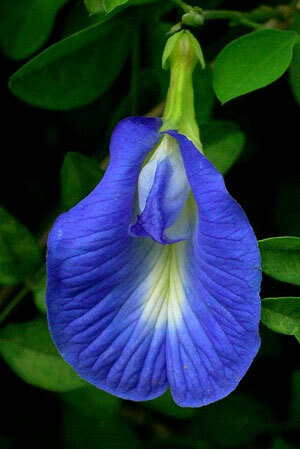 This vine grows up to about 10 feet long and likes to live in full sun to partial shade. 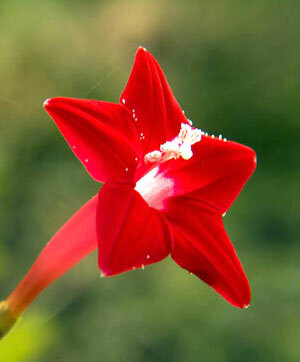 Although the flower is mostly red it is also white and pinks. If you are growing plants for hummingbirds, this is the best plant you can have. It also attracts several other birds along with bees and butterflies. It is deer resistant. USDA Hardiness Zones 6 to 10, but it can be grown as an annual anywhere.